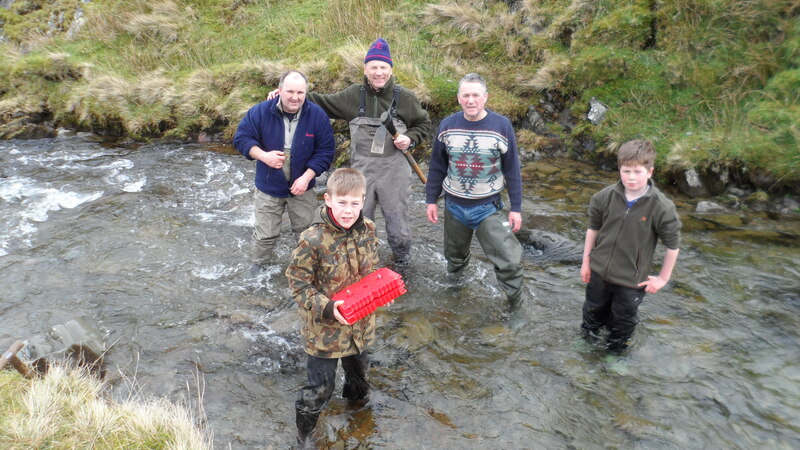 Members of Keswick anglers assisted Tebay Anglers association with planting out an estimated 10,000 eggs in 25 Scotty boxes. A 4 mile walk to the spawning ground on Bowderdale beck made for a very tiring day. Keswick Anglers Association was established over 100 years ago, takes a keen interest in making sure that angling continues to be enjoyed in this part of the Lake District by both residents and visitors. The Rivers Greta and Derwent offer superb, affordable fly fishing.